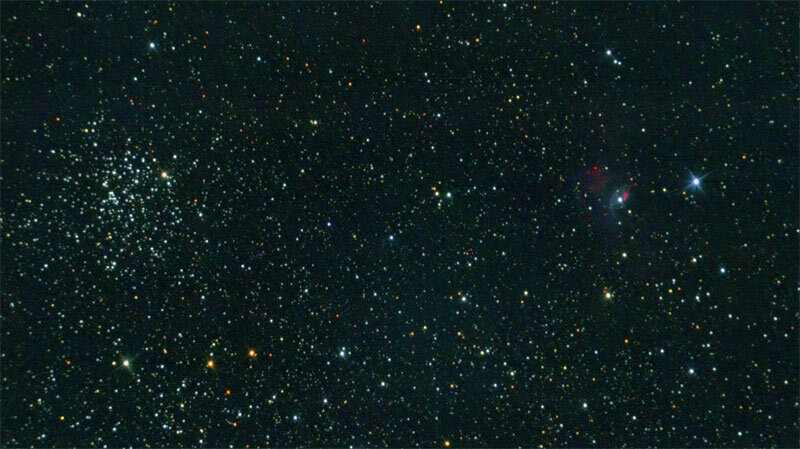 M52 (to the left of the image above) is a beautiful open cluster found in a dense star field of the Milky Way band in the constellation Cassiopeia. Also visible in the image is the Bubble Nebula (NGC 7635). 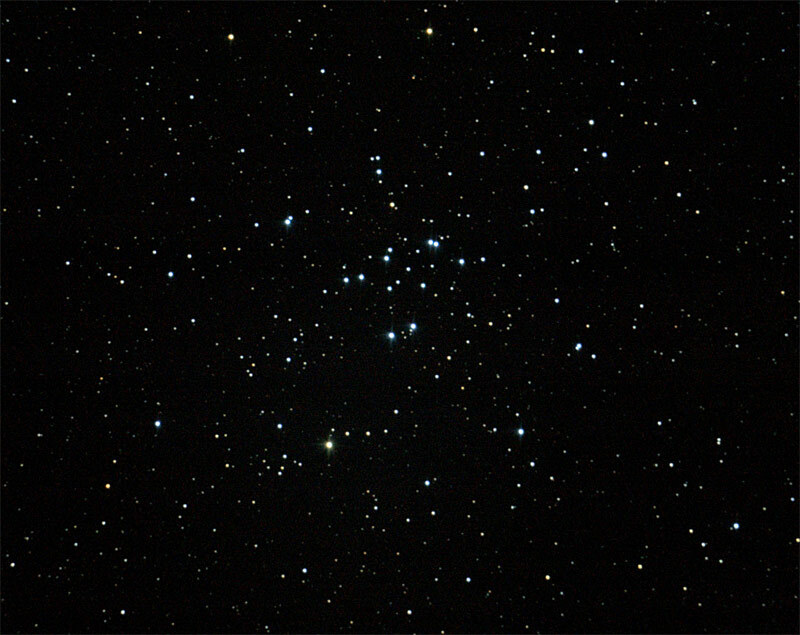 M34 is a relatively plain open cluster in the constellation Perseus. About 100 stars make up this large cluster. M34 is visible to the naked eye on clear nights as a faint nebulous patch. 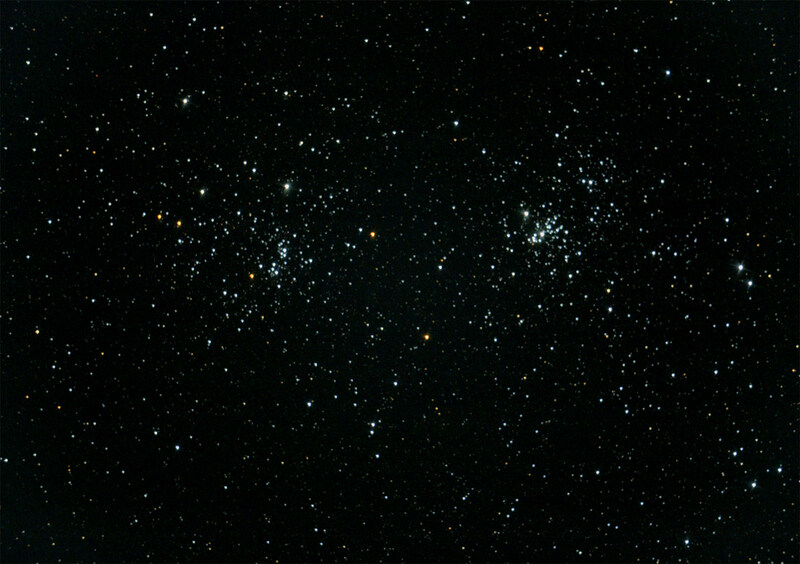 M34 is most remarkable for the several sets of visual double stars. 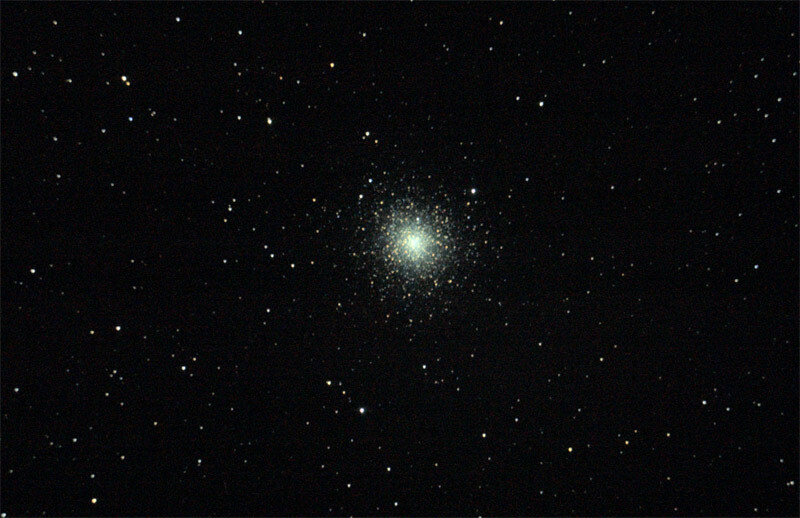 M2 is a very dense and somewhat egg shaped globular cluster. 5X90 seconds. Click for a full size version. The double cluster is a group of two young open star clusters about 13 million years old that are moving through space together. At a distance of 7650 light years, they are just barely visible to the naked eye to the east of the "W" of Cassiopeia. 10X30 second exposures on a moon light night with moderate seeing and transparency. 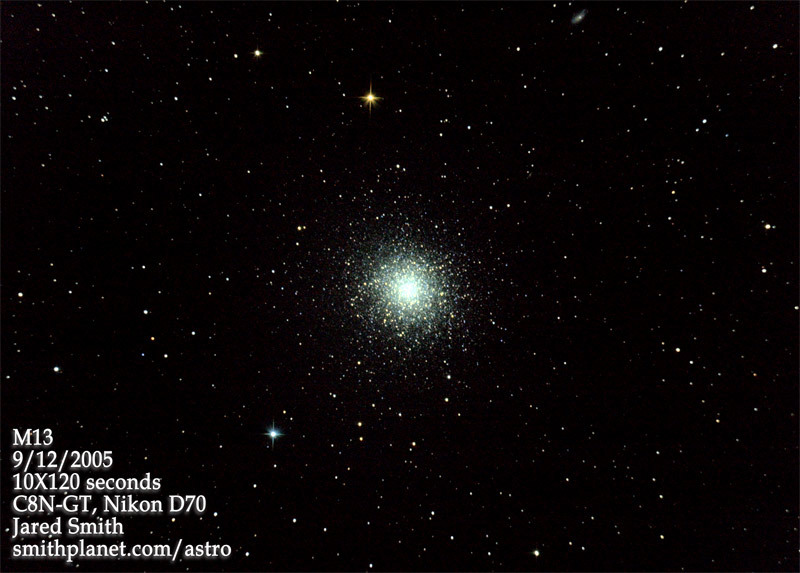 This is my first real DSO image done at prime focus. I'm happy with it for a first try, but know there is much to learn. The color is quite blue, probably due to the D70, but I kinda like it.